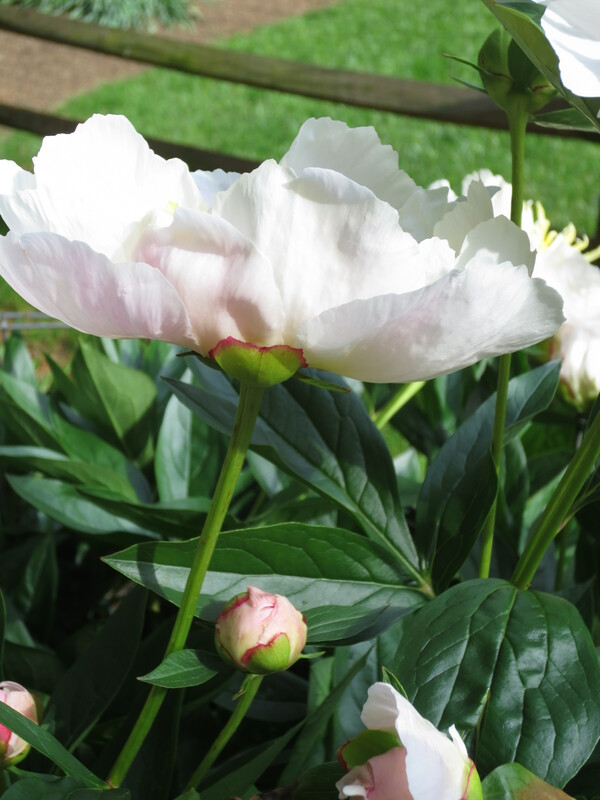 Admiring blooms within gardens or viewing their pictures in magazines has always made my heart beat a bit faster. I remember at a young age a neighbor grew the most fantastic tulips in her yard, and the beauty of them all was her black tulip’s…and oh my gosh, I thought I would leap over the moon if I could not cut a few to place in my bedroom. So, I sneaked out at sundown snipped a few cuttings and et viola, my desk area was transformed into the perfect study area. But, oh the guilt of cutting my neighbor’s flowers made me feel horrible. So, I told my mom what I did and she had me build a bouquet from her own flowerbed, promptly walk over to our neighbor to apologize. My love of flowers has never waned, as I continue to peer into secret gardens, peek in yards or read books, I do everything necessary to learn all there is to know of these exotic delights. 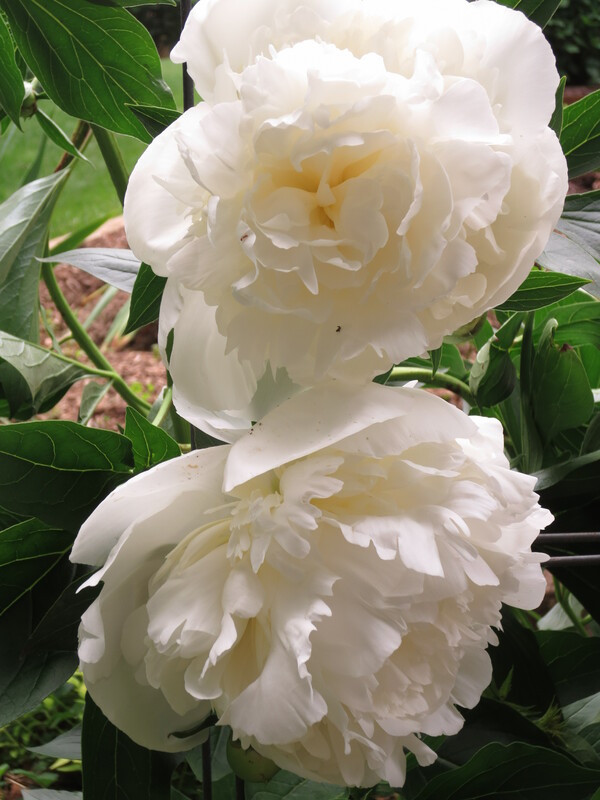 Another deep affection is for peonies and though these blossoms are around for a short three weeks it becomes imperative each year to get as many cuttings into vases as possible. With scissors in hand, I have already begun cutting these flowers to place in rooms throughout Heath. 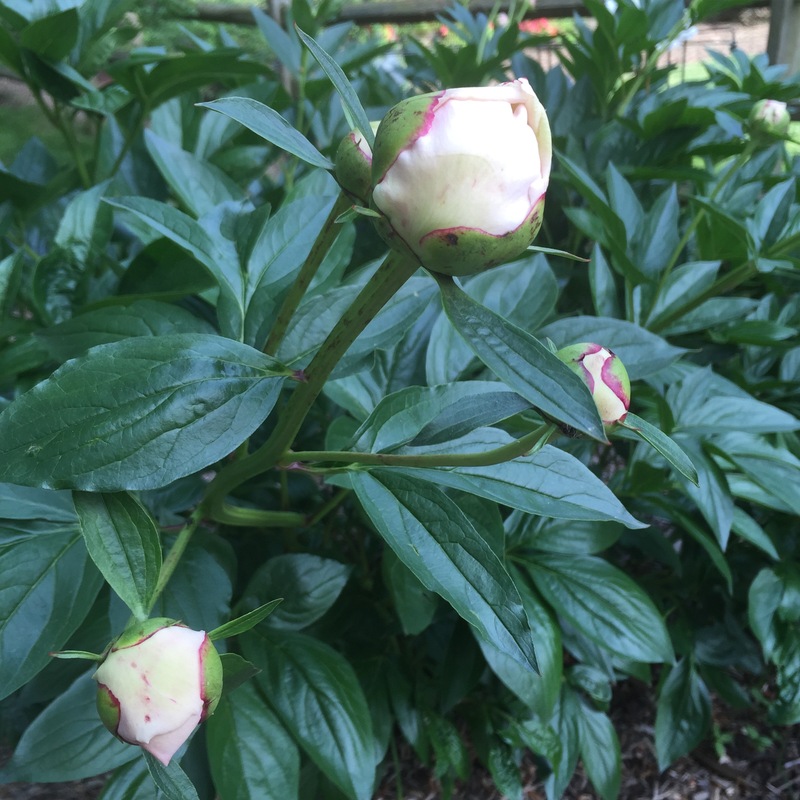 We had a severe thunderstorm last night, which pushed these herbaceous beauties to the ground, but there are a few sturdier buds growing in the cutting garden just waiting to bloom and to be placed in vases. 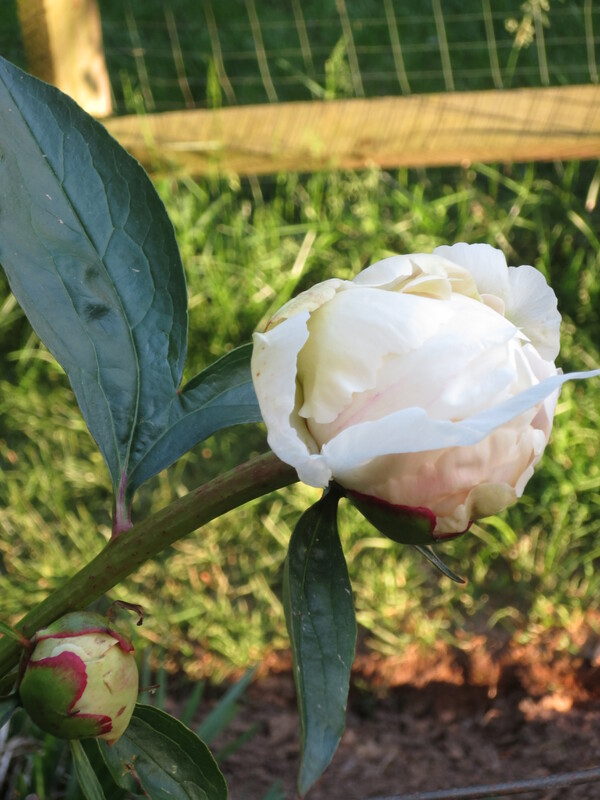 The last of the spring peonies after a rain storm a week ago. 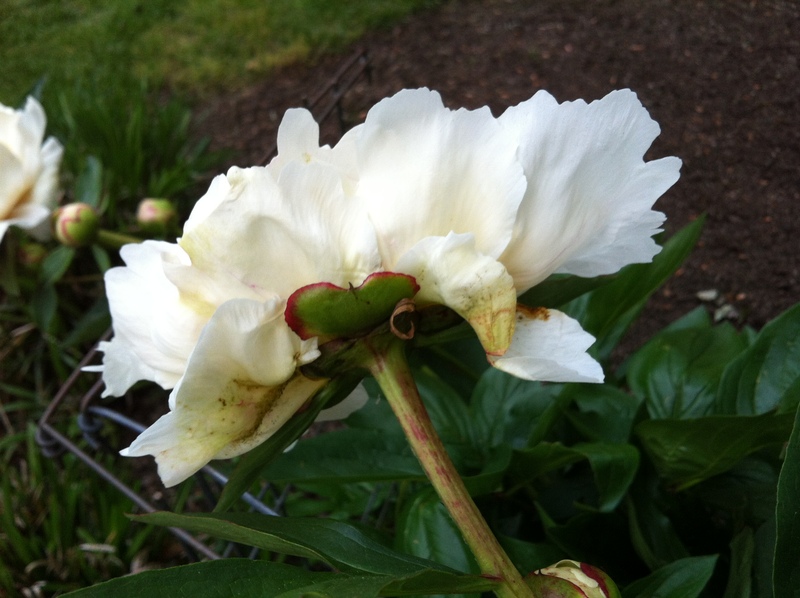 Even with age, the flower is extremely vibrant in color and shape. Upon awaking yesterday morning I was determined to ease into the weekend instead of being tossed head first into the waves of decision-making and arduous tasks. Gliding into the kitchen to put on a pot of coffee to go with the almond croissants purchased the day before at la Madeleine was my idea of a perfect start. Harvested bay leaves, which have been growing for many years at Heath were be placed in containers to be shared with family and friends. There was also the great opportunity of working on the deck this morning with mom, planting additional herbs in various pots to be used in meals for the remainder of the year. 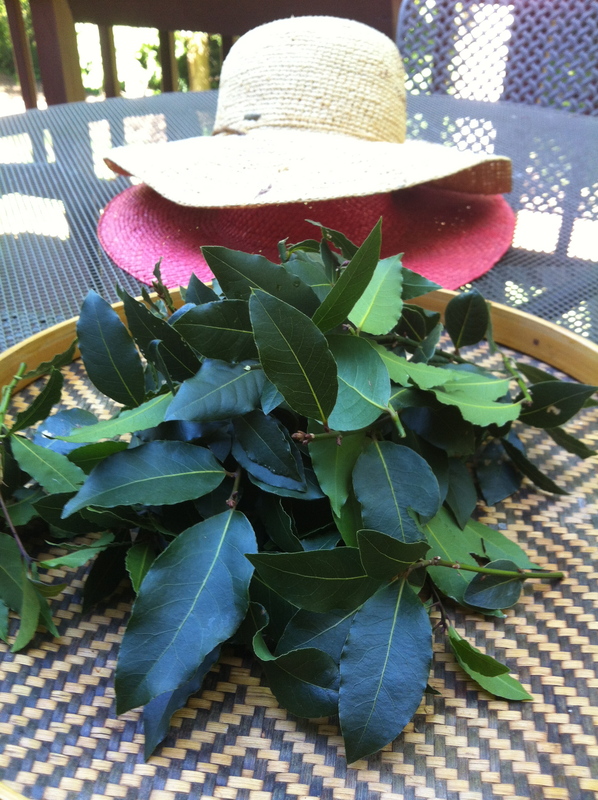 Mom helped by pulling weeds and harvested the bay leaves which were stored in containers for upcoming stews, soups and sauces. 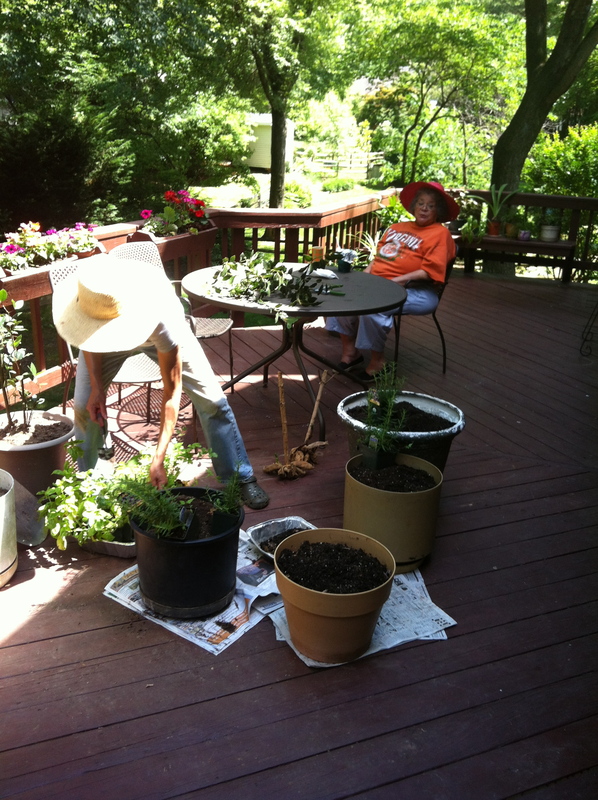 It is always a lot of fun to work with mom while gardening. We had our music playing our favorite playlist and enjoyed lunch al fresco.